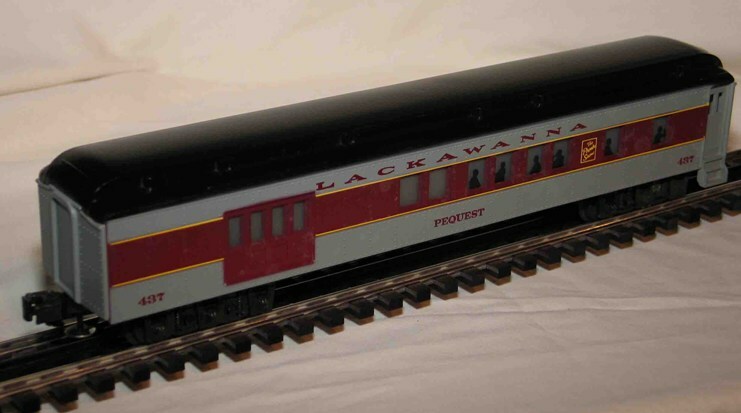 This Lackawanna passenger car set was originally made by Williams Electric Trains. Custom Trains added "The Phoebe Snow" logo to the car sides. At least one Lackawanna five-car set has been found with a # 530 Chenango Pullman and a # 543 Tobyhanna Pullman instead of the # 543 Tunkhannock and # 658 Tobyhanna listed below. The photos on this page are courtesy of the B. Fetterman collection. 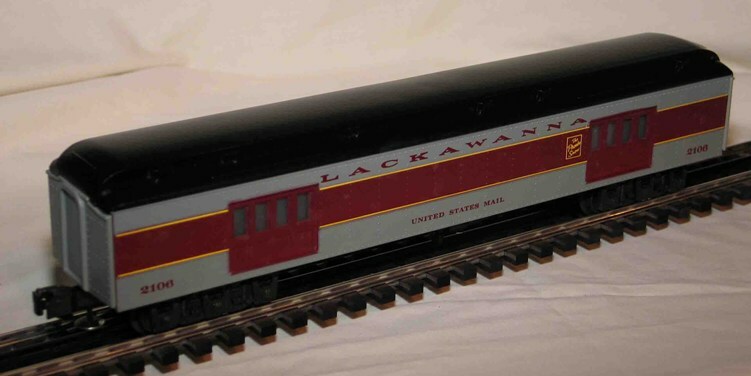 Lackawanna 2106 United States Mail Baggage Car. Lackawanna 437 Pequest Combine Car. Lackawanna 543 Tunkhannock Coach Car. Lackawanna 658 Tobyhanna Coach Car. Lackawanna 99 Pocono Observation Car.